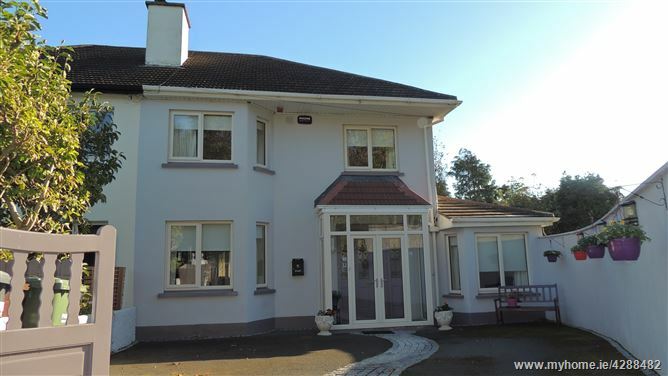 REA Forkin delight in bringing this fabulous property to the letting market for the very first time! 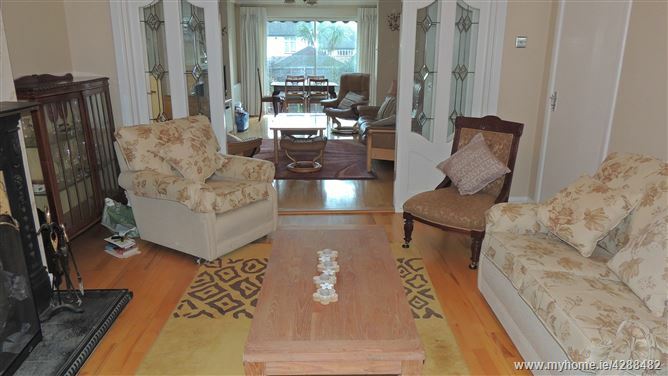 This superbly located property is nestled in a quiet cul-de-sac overlooking mature trees and green area. 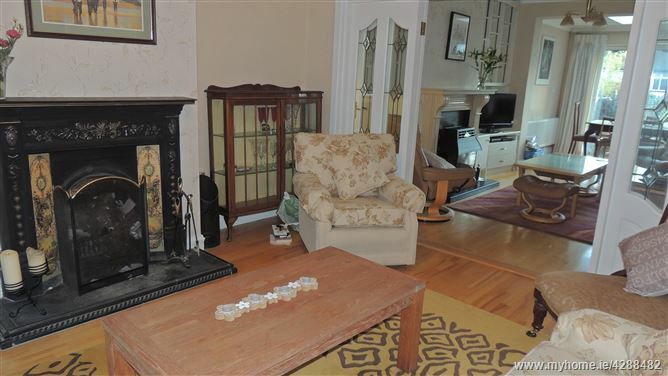 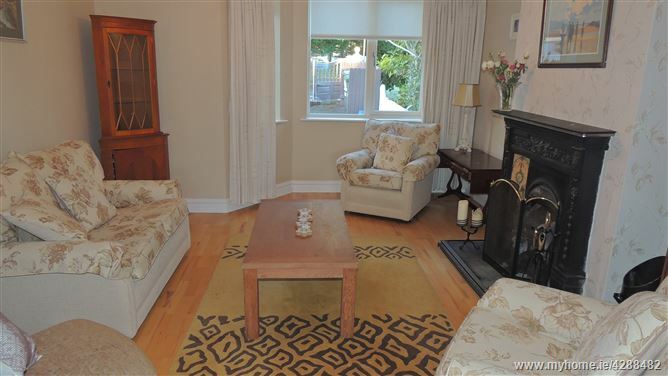 The house is an ideal location for commuting to Dublin, Sandyford, Cherrywood and is close to an unrivalled variety of amenities! 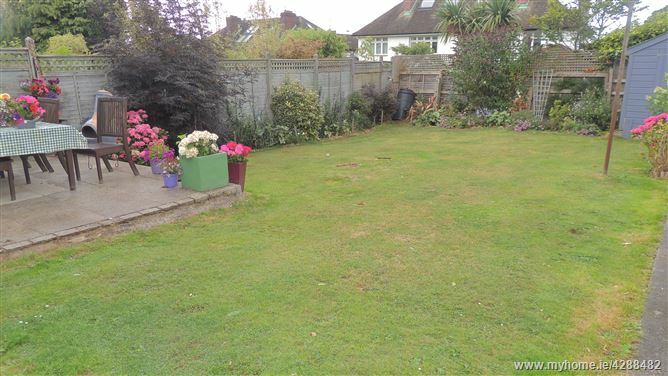 This well-maintained home caters for a multitude of needs. 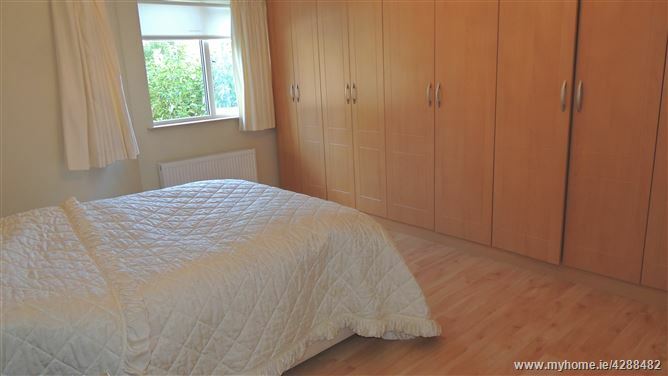 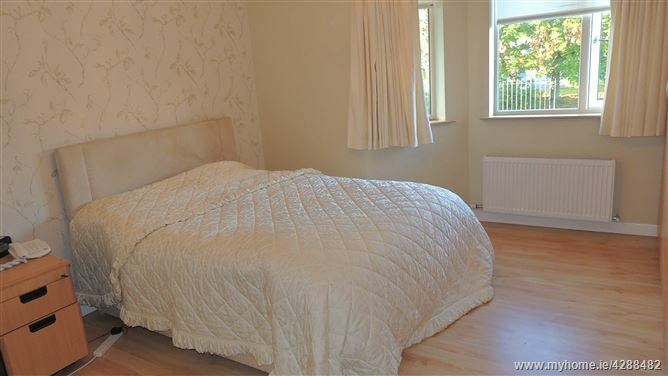 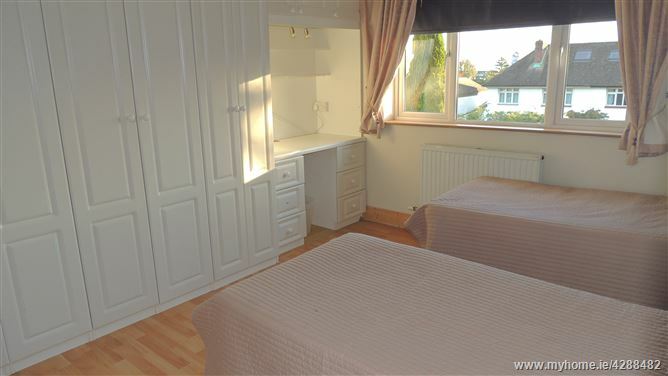 Comprising briefly of: two double bedrooms and one single room. 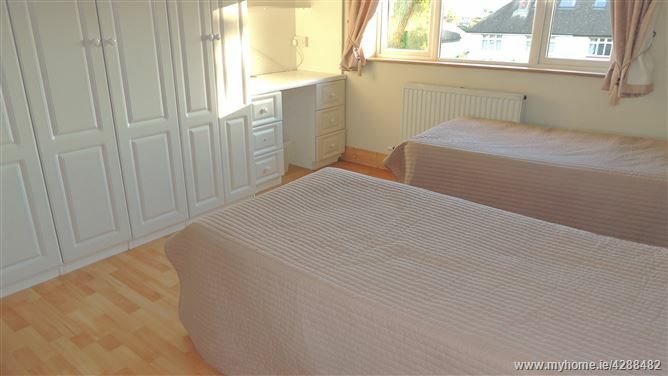 Downstairs is a fourth bedroom with individual access and en-suite bathroom. 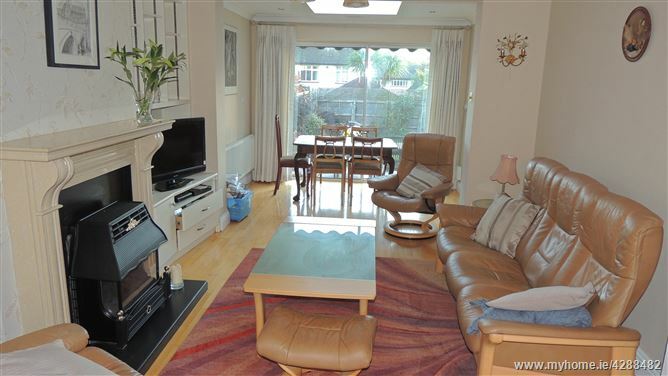 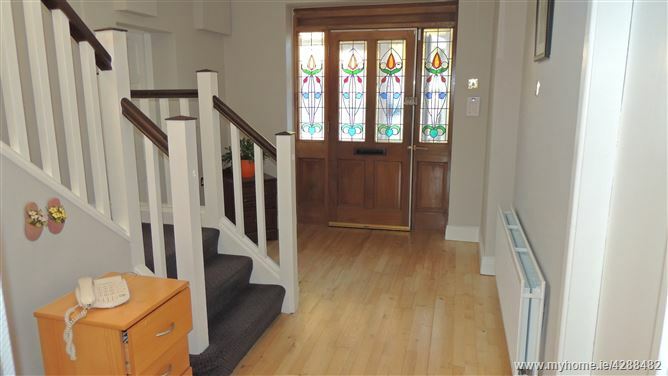 There is a comfortable sitting room linked to a bright and spacious living room, fully fitted kitchen with all modern conveniences, spacious utility room and large rear gardens with patio area and ample lawn space. 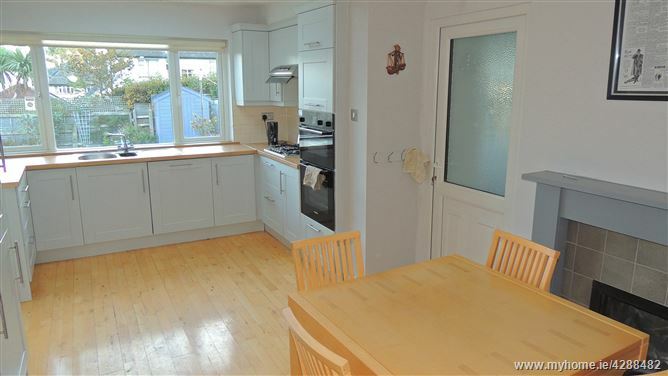 Fitted with solar panels for constant hot water, with internal wall insulation for a cosy efficient home! 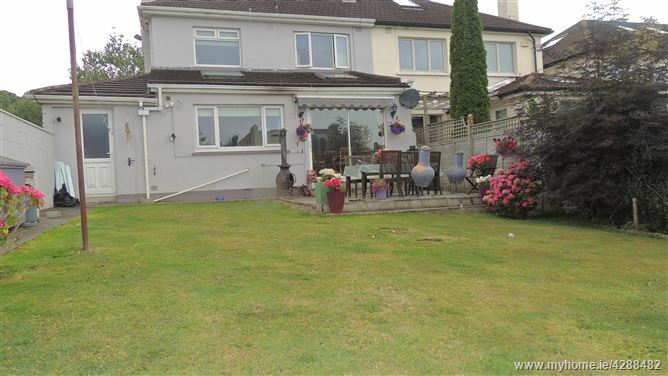 Local amenities include: Excellent schools, both primary and secondary, the Deer Park, Stillorgan shopping centre, cinemas, sports facilities, hospitals, ease of access to the N11/M50, just 20 minutes to Dublin City, bus corridors, and many more to make living, working and commuting that bit easier!